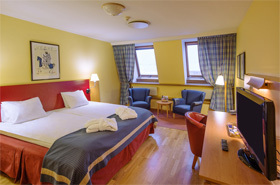 It offers perfect accommodation whether you are on a business trip or on holiday. Numerous cultural sites, shopping areas and historical museums are minutes from us. 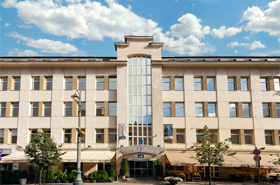 Several restaurants and cocktail lounges are near by.The hotel welcomes our guests in 60 spacious rooms. free storage is always included. - relaxation area with exercise gym, sauna and mini-pool. Parking available upon request. 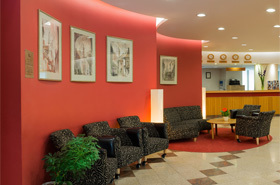 If you will make a booking through our webpage parking will be free of charge, otherwise parking daily fee is 10 EUR.